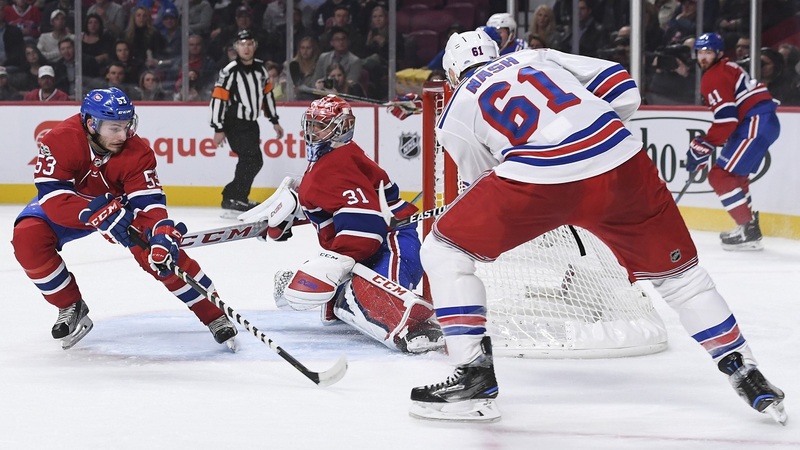 MONTREAL (WABC) -- The Rangers were coming off a win last week against Arizona, and looked to carry that momentum into Montreal Saturday night against the Canadiens. Whatever positive energy the Rangers gained last week, they were quickly wiped away with 5-4 defeat on Saturday. This contest started off with more of the same from previous games. By the time the first period was over the Rangers were down 3-0, and had dug a significant hole for themselves to recover from. What positives can you take from this? Much like the game against the Islanders recently, the Rangers showed some resilience in tying the score. However, in the end it was not enough. Head coach Alain Vigneault afterwards said; "You can't win in the NHL by playing 40 minutes." Vigneault went on to describe his teams performance and current level of play. "Our first period, there's no compete there's no effort. Montreal came out hard and they totally dominated the first period. We put ourselves behind in a hole 3-0, you can't win that way." The head coach's frustration mounted when asked about the compete level. "I didn't have a D-pair that can make a pass, and any puck battles they (Montreal), were getting to the puck first they were basically winning." Vigneault added; "We're 3-7-2, that's alarming to me right now. We need to obviously play better than we have and we're going to get to work on Monday." Not only are the Rangers in holes during the game, their season is in jeopardy as well. A slow and lifeless start like this will make it very difficult to battle back from. Maybe calling out the defense like tonight can motivate this group? Time is running out on this team to right this disappointing start to the season.